Welcome to the first post of our planned tutorial series for Samsung Galaxy S5. We intend to give you as much relevant information, tips, tricks, solutions, and interesting tweaks as possible in this guide. You may have heard of Safe Mode as a way to fix or diagnose an issue on your Galaxy S5 phone because you’re reading this page. Xposed Framework is an app that allows you select a particular feature of a custom ROM instead of getting all that are being offered. Created by XDA member Rovo89 a few years back, Xposed Framework is a very helpful app for users who wants to cherry pick certain modules to bring ROM customization to a new level. This app is extremely easy to install once your phone has been rooted. As of this writing, only rooted device running Android 3.0 or later are being supported. Just go over the steps below to see how it’s done. Ensure that Enable Unknown Sources is ON. Xposed Framework is a third party app and is not available on Google Play Store so you have to make your phone open for its installation. Just go to Settings>Security, then put a check mark on Unknown Sources. Hit OK to confirm change. Download the Xposed Installer. To get the necessary files, open your phone’s browser and click on this link. After downloading, just tap the pop up screen to start the installation process. Hit Install then tap Open. Install Xposed Framework. 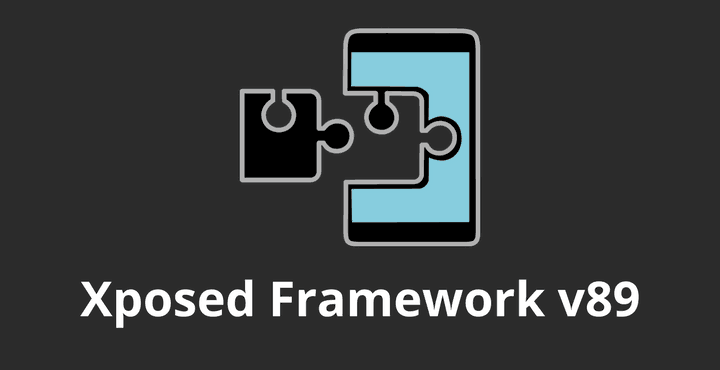 Once you have the Xposed Framework opened, tap Framework to begin the actual installation. A pop up screen will show telling you to be careful so simply tick the box next to Don’t show this again and press OK.Afterwards, tap on Install/Update, Grant, and OK buttons. Your phone will reboot. Modules installation. After the phone reboots, you can start choosing the modules you want on your phone. Open Xposed Installer app then go to Download section and pick the ones you like. Resetting an S5 to its factory settings is the fastest way to delete everything on the phone as well as a great troubleshooting step if you encounter an issue that may appear hard to resolve. It’s also a great way to get rid of annoying, rogue, or troublesome apps fast. Whatever your reason is, you’ve come to the right post as we give you options how to reset an S5 back to its original state. As a precaution, please ensure that the battery has been fully charged and you have created a back-up copy of your data before you proceed. There are two ways to reset an S5 to factory defaults–through the notification bar (assuming the phone’s touchscreen function is working), and by using the hardware keys. Press and hold the Volume up button, the Home button, and the Power button together until you see the Android on screen. Use Volume down to highlight the wipe data/factory reset option and press the Power button to select it. Use Volume down again to highlight Yes – delete all user data and press Power to select it. Reboot your Galaxy S5 phone in Custom Recovery. This means you have to know exactly what type of ROM you used before. You want to know if you installed the ROM like CWM, TWRP and or Philz Touch so you can choose the type of recovery software to use. Turn the phone off by holding down the Volume Up, Home and Power button at the same time. Choose Backup first to keep your data files in safe place. Go to Mounts & Storage. Select Reboot the phone now. Whether or not your phone is rooted, there is a way to enter recovery mode in a Samsung Galaxy S5. But what exactly is recovery mode and what are the reasons why you want to perform it? Basically, recovery mode is a bootable state of your phone used to delete files, perform system updates, or delete cache partition. Either of them can be a resolution to a problem like an annoying or rogue app, or to bring the phone to a more stable state after customizing a ROM. Doing a recovery mode can be the last resort, especially if the phone has stopped responding or if touchscreen is no longer working properly. In order to shut down your Galaxy S5 you can either press the power button and select “power off” or you can press and hold the power key for more than 10 seconds. Press power, volume up and home buttons at the same time, simultaneously. Keep pressing these keys until recovery mode is being displayed on your Galaxy S5. In recovery mode, use volume up and down buttons in order to scroll up and down; also use power button in order to select your option. We are among the very few people who offer free Android support online and we are serious about it. So, feel free to contact us regarding your concerns, questions and problems. You may reach us at [email protected] or post on our Facebook and Google+ pages. ive had my samsung s5 for 5 years …. so far the best phone ive ever had . never any issues with it … until now , i recently upgraded to the note 8 and retired my s5 . i dropped the 8 and shattered the screen… needless to say im beyond pissed … i pulled out my s5 and with the original charger ,both the wall plug in and the cord that connects to the phone … i got the yellow triangle with the exclamation point saying slow charging connect the original charger ???? never seen and dont know why its doing this …. ive even bought charger wall plugs and cords from gas stations in the past and never seen this message or ever had this problem …. any suggestions on how to fix or correct this issue??? I have done the steps you talked about, now my screen is showing OdIN Mode witb big green android guy and it says downloading do not turn off target. Help!?!?!?!?! What does that mean? I cannot reply to txt msgs I rebooted in safe mode but it done no good. I have 14% breathing capacity left so all I do is txt and I now I can’t do that please help. I am so sad. It’s not stable when I reading or whritting. I did a factory reset on my Galaxy s5, and it sat on the Samsung logo screen for a while, so I removed the battery and replaced it. Now the phone wont turn on at all. I have put it on charge but even the blue pilot light isn’t showing. I have followed your instructions doing a soft boot with out but still no joy….any suggestions? I am not sure about your recovery instructions. I am wanting to perform a recovery from accidental factory reset–is that what your instructions refer to? Thank you. my s5 bootloop after xposed framework installed… any solution?